Because we so often find ourselves treating patients whose problems are the long-term results of childhood dental neglect or mishap, we understand the importance of timely and skilled pediatric dental care. There are many reasons for making sure that children receive regular checkups and treatment for any conditions they reveal: in particular, tooth decay in baby teeth can have consequences even more severe than those in adult teeth. There is a tendency to think of baby teeth as not worth filling, since they will eventually fall out of their own accord. In addition, because visits to the dentist can cause great anxiety in children, it may seem easier to avoid them and just wait till decayed teeth are replaced by nature. 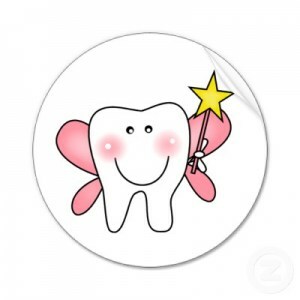 But nature needs help, and not just from the Tooth Fairy. The truth is that children can suffer pain, facial infection and blood poisoning if their baby teeth are left untreated, requiring extraction and greater trauma than would ever be part of a well-planned pediatric dental regimen and essential treatment. So, beyond starting children on daily oral hygiene habits early on it's important to reinforce them with regular visits to their dentist. These practices begun early in life can help create and maintain not only a healthy mouth into adulthood, but forge a bond of trust between patient and practitioner. Some of the long-term consequences of neglecting good childhood habits we have found among our adult patients are not only the cosmetic repairs that are part of our specialty (some directly caused by misaligned and/or missing teeth, poorly executed fillings and other repairs,) but having to deal with the anxiety (based on childhood misadventures at the dentist's office) that maintains a powerful grip on many grownups. 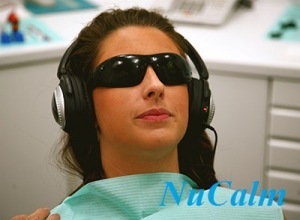 Using the latest anesthetic technologies, such as NuCalm and oral sedation we are able to reassure our patients that their treatment will be pain-free. And the good news is that the same technologies are available in pediatric dentistry so, by instilling good oral hygiene habits in children and choosing their dentists with care, children will learn from the beginning that good dentistry can be painless, anxiety-free, and good for their lifelong health.